If you’re becoming bored with your current exercise regime or just want to track your achievements in a more convenient way, there’s an app that can help you. Today’s modern society allows us to have all of our exercise data in the palm of our hands, allowing us to maintain a consistent routine and achieve our desired results. To make your exercise routine just that little bit better, check out these great fitness apps. If you’re lacking motivation or just looking for some new exercises, the ‘Body Fitness’ app will be the perfect addition to your exercise routine. Syncing with your smart phone calendar, the app will track your exercise and keep you up to date with what should come next. More than 300 exercise variations are listed, meaning you’ll never be bored again, while a built in tracker allows you to record and view your weight loss or weight gain achievements. If you’re new to the world of exercise, you’ll also find that each exercise has a detailed description, as well as step by step pictures, showing you how to properly perform the exercise. Whether you’re a gym junkie or just beginning to exercise, this app has everything an exercise regime could need. Many exercise regimes are created with the goal to either lose or gain weight. The ‘Target Weight’ app allows you to maintain a record of your weight achievements, while also calculating your Body Mass Index (BMI) and an outline of your overall health. The ‘Cycling Plus’ app allows users to virtually subscribe to the number one cycling magazine in Britain. While Cycling Plus may be a British publication, all riders of various skill levels will gain insight and knowledge into the world of riding, along with its phenomenal health benefits. Riding both mountain and road bikes is one the best ways to lose weight, tone muscles and improve your overall health. If you’re looking for an addition to your exercise regime, you can’t go past cycling. If you attend the gym religiously, but just aren’t seeing the results that you need, try adding exercise into aspects of your everyday life. The ‘Everywhere Exercise’ app provides helpful hints for exercises that can be done just about anywhere. Tone your tummy while you’re waiting for the bus or get catwalk ready arms while you’re sitting at your desk. While this app may not directly target just exercise, it is important to remember that your exercise regime should be teamed with a balanced and nutritious diet. As the name suggests, this app provides detailed information regarding everyday illnesses, along with nutrition information, a way to track your weight loss and information on treating exercise related injuries, such as ankle sprains. Taking care of your body is an important part of every exercise regime, along with variety and a consistent workout schedule. To maintain a healthy lifestyle, check out these great apps today. When searching for wines, we should look for a Certified Biodynamic Winery. Attaining the standard to be a Certified Biodynamic Winery is difficult. Biodynamic is the highest level of organic farming. If you think that its simply eliminating synthetic chemicals, you'd be surprised that its only the beginning. Biodynamic farming requires an eco-system in the farm land itself for its sustainability. Instead of bagged fertilizers, they let animals roam free so they can keep the vineyard healthy and balanced. A Sonoma biodynamic wine for example is a product of all these tedious process. By relying solely in nature's ability and capacity, you can only expect the best from it. It's as true and as natural as you can expect. Being a resident since birth in Manila, Philippines, we couldn't let the Bourne Legacy Movie pass. This is a sequel to the Bourne Trilogy series but with a new main cast. 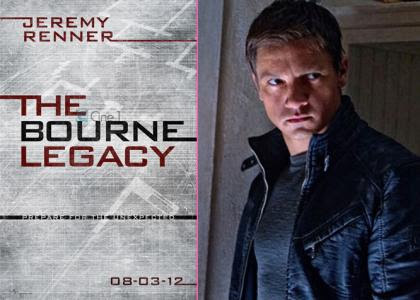 Jeremy Renner as Aaron Cross takes the limelight as Jason Bourne previously played by Matt Damon was merely mentioned in the movie. Was it as good as the rest? Definitely. Jeremy Renner and Rachel Weisz as Dr. Marta Shearing did a great job! Of course, you can't expect it to be the same as Matt Damon because he has his own way. I will be watching movies from Jeremy Renner more in the future. The action scenes especially the one in Manila is consistent with the style of the Bourne Trilogy. The effects and sounds were excellent. The setting of Manila is so realistically reproduced. It showed the characteristics of the Filipino. Well, except for one part. There's a scene where a Filipina accuses Dr. Marta Shearing of being a thief. In realty, if a Filipino will find a foreigner stranger in their home, they will welcome them with excitement and hospitality. The movie is more focused on the revealing more about the government program rather than the action. There isn't much going on except for the short chase with a few gun shots. The ending makes you want to watch the next movie. Today (August 9, 2012), Uniqlo announced that it will donate 3 Million Yen (1.5 Million in Pesos) to aid flood victims of the Philippine Monsoon in Metro Manila and nearby areas that were inflicted with great damage. Uniqlo's Chief Operating Office of Fast Retailing Philippines Inc., Katumi Kubota states that "UNIQLO is saddened by the current natural occurrences in the Philippines, and we would like to express our deep sympathy to all Filipinos who were affected by this calamity. We stand together with our Filipino friends in providing a helping hand." The donation will be made to the SM Foundation, the socio civic arm of the SM Group of companies, which is the parent company of SM Retail, Fast Retailing's joint venture partner in the Philippines. UNIQLO is a brand of Fast Retailing Co. (FR), a leading global Japanese retail holding company that designs, manufactures and sells clothing under five brands: Comptoir des Cotonniers, g.u., Princesse tam.tam, Theory, and UNIQLO. FR is the world’s fourth largest apparel retail company, and UNIQLO is Japan’s leading specialty retailer. With a corporate statement committed to changing clothes, changing conventional wisdom and change the world, FR is dedicated to creating great clothing with new and unique value to enrich the lives of people everywhere. Going forward, Fast Retailing will continue to actively provide support to those in need, as part of the group's commitment to act as a global citizen in an ethical manner and with integrity. Pixar's latest creation or should I say Disney's creation is soon to hit the movie theaters and surely enough after seeing its wonderful trailers you'll most likely be anticipating it. "Brave" is about young Princess Merida who feels that her freedom/life is being taken away by her mother, sounds familiar? This plot has been retold more than several times, a rebellious kid who tries to make their own path then finds themselves in a predicament in which they'll realize that their parents/elders aren't really trying to make their lives miserable but are just there to give them some guidance. The movie's target audience will definitely get affected by the moral of the story especially since most teenagers nowadays feels like this. The animation and graphic is pretty good although I didn't feel that 3D was necessary for the film. The music is pretty good. Oh and don't walk out on the post-credits. It's just a good closing but nothing essential if you did. It was a good movie, even with a mediocre plot the feeling and emotional problem will forever be seen in lot of adolescent teens and hopefully they'll soon realize the answer before its too late. A few days ago when we watched this movie, we were both wondering why it was entitled BRAVE. Today, I had a talk with my mother and I was reminded of my rebellious teenage years. I finally understood it. Being BRAVE isn't about being good with weapons and fighting skills... It's about realizing and accepting our mistakes and swallowing our pride before the damage becomes irreparable. It takes a lot of BRAVERY to do that. It is easier to break bonds that to fix it because its easy for pride to comes in the way. 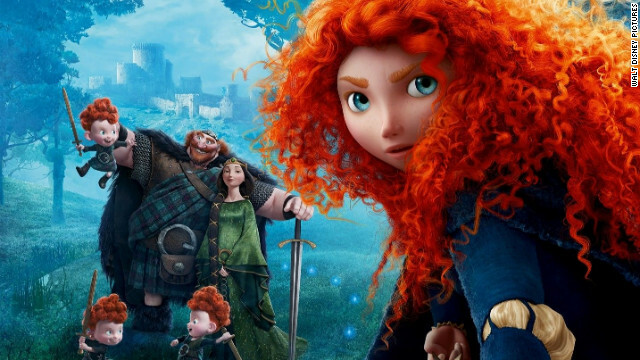 Thus in the movie Merida was presented with an issue that we all struggle in our daily lives... "Mend the bond hurt by pride".